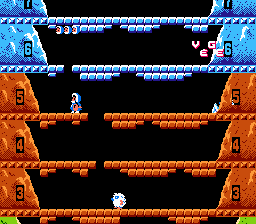 Ice Climbers is an action platformer game for the Nintendo Entertainment System. 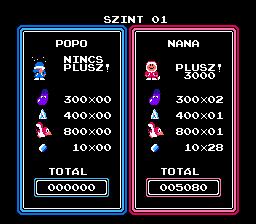 Help the ice climbers climb the mountain. Break through the ice and ascent to the top. Avoid condors, polar bears and other dangers to be king of the mountain. 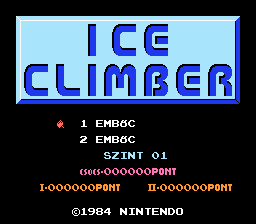 Hungarian translation for the NES version of Ice Climber.